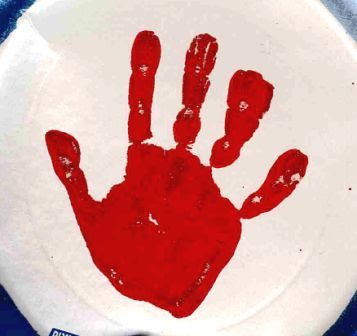 'HANDPRINTS SIGNS OF LIFE' - A father day poem! 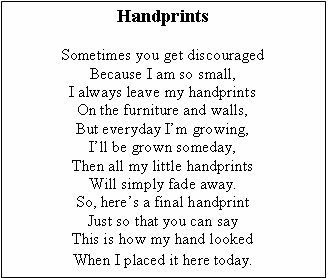 Re: 'HANDPRINTS SIGNS OF LIFE' - A father day poem! I have seven. Fourteen handprints, how many times a day??? Anyway, nice to have it in poetry and remind us about our kids being just kids.